When Obama’s Department of Justice raided Gibson Guitar in 2011 on allegations they illegally imported materials, many observers suggested the Feds targeted the company because of conservative ideological stances it had supported. Regardless, Gibson has now responded as the creative often do – expressing their remarkable talents with twist. 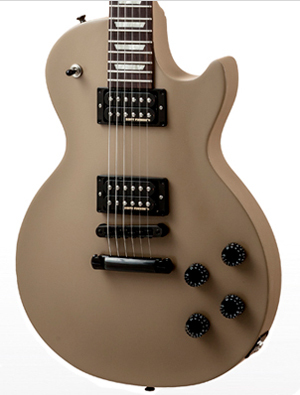 Welcome world to the new Government Series II Les Paul. The Department of Justice alleged a violation of the Lacey Act, a law that bans the importation of certain kinds of wildlife, plants and wood. At the time of the raid, Gibson Guitars CEO Henry Juszkiewicz said the loss of confiscated tonewood from India would result in a cost of $2 to $3 million for the company. At a great expense over time, Juszkiewicz fought the federal government tooth and nail. But in August 2012, he settled with the Department of Justice by agreeing to pay a penalty of $300,000 and a $50,000 community service payment to the National Fish and Wildlife Foundation. As the company web presentation proclaims, “Great Gibson electric guitars have long been a means of fighting the establishment, so when the powers that be returned the wood stock after resolution — it was an event worth celebrating. Introducing the Government Series II Les Paul, a striking new guitar from Gibson USA for 2014 that suitably marks this infamous time in Gibson’s history. “From its solid mahogany body with modern weight relief for enhance resonance and playing comfort, to its carved maple top, the Government Series II Les Paul follows the tradition of the great Les Paul Standards—but also makes a superb statement with its unique appointments. A distinctive vintage-gloss Government Tan finish, complemented by black-chrome hardware and black plastics and trim, is topped by a pickguard that’s hot-stamped in gold with the Government Series graphic—a bald eagle hoisting a Gibson guitar neck. Each Government Series II Les Paul also includes a genuine piece of Gibson USA history in its solid rosewood fingerboard, which is made from wood returned to Gibson by the US government after the resolution.” Click here for more from Gibson Guitars. This entry was posted in Business on February 1, 2014 by admin.